Robert Llewellyn Bradshaw International Airport on St Kitts is the main air hub for St Kitts and Nevis. It's linked to destinations in Europe and North America by Air Canada (www.aircanada.com), American Airlines (www.aa.com), British Airways (www.ba.com), Delta (www.delta.com) and United (www.united.com). Seaborne Airlines (www.seaborneairlines.com) and Winair (www.fly-winair.sx) connect St Kitts and Nevis with each other and with destinations across the Caribbean. 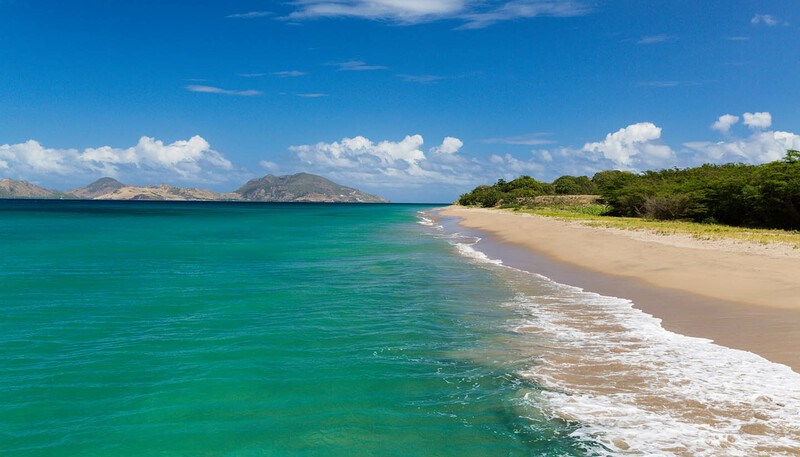 Low season in St Kitts and Nevis runs from June to mid-December, which is when airfares are cheapest. The airport is 11km (5 miles) from Charlestown on Nevis. The airport is 3.2km (2 miles) from Basseterre on St Kitts. From London - 10 hours (including a stop in Antigua); New York - 4 hours 10 minutes. EC$60, payable in cash or by credit card at the airport. Unscheduled ferry services run infrequently between St Kitts and St Maarten. However, planes are far more frequent and reliable.